This innovative little book takes you week-by-week through a whole year of good things: for you, your family and your environment. From week one's light bulbs to week 52 and presidential power, via organic chocolate, walks in the woods, blissful bath times and fun getting fit, there are a whole heap of positively brilliant things you can do to repair the damage done to the planet. 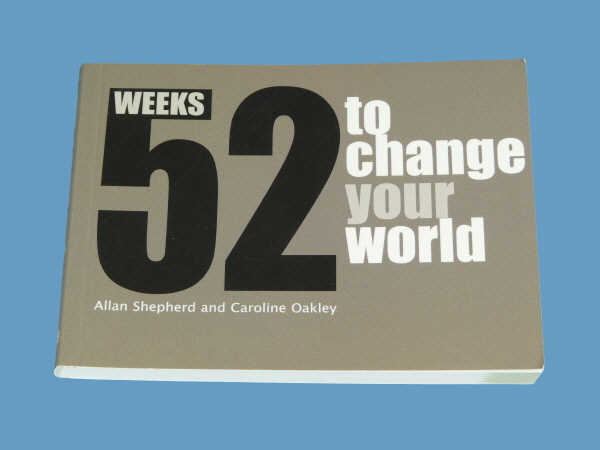 One of the best things about us humans is that we're endlessly innovative is there's a problem we can find a way to fix it, Wether you're an armchair campaigner or a dedicated doer, ambitious action man or domestic goddess, 52 Weeks has got something you can do to make a difference.